The term “Metroidvania” has become too common in the gaming medium. A good Metroidvania is a sublime experience which melds the best of past and present 2D design. Unfortunately, with the plethora of new releases each week on the Nintendo Switch alone, many titles have tarnished this once proud moniker and Metroidvania no longer encapsulates transcendent titles, such as Super Metroid or Castlevania: Symphony of the Night. Momodora: Reverie Under the Moonlight was originally released back in 2017 and is now the most recent title to go all in with the Metroidvania label on the Switch and, to be frank, it does not disappoint. Narratively, Reverie Under the Moonlight offers a familiar formula to storytelling: an evil curse has swept the land, monsters now rule the world, and even the townsfolk who seem trustworthy can’t really be trusted. You take control of a priestess named Kaho from the village of Lun and set out to find her majesty the queen who, by your reckoning, can defeat all the evil festering throughout the world. There is a compelling story being told in Reverie Under the Moonlight, but it exists more as part of the atmosphere and not as a traditional narrative. You will meet new characters over the course of the adventure, discover some of their motivations and plights, but true to the nature of the classic 8 and 16-bit platformers this game emulates, your heroine’s quest is a fairly linear one with different routes to take in each section. Although the story explains what’s happening overall and gives deeper value to your role within those events, there isn’t a lot of intrigue. Each moment of exposition exists as a checkpoint for your progress more so than a turn of the page for some sweeping narrative. A missed opportunity this is not, however, as Reverie Under the Moonlight handles everything exactly right. The reason is most interactions can be almost entirely optional. Interacting with curious objects or talking with the besieged citizens cowering about the labyrinthine maps can be entirely bypassed in the interest of focusing on the action, of which there is plenty. The importance of the story isn’t as much of a predetermined factor as it is an optional component to enhance your fun. As soon as I started Reverie Under the Moonlight, the first thing I noticed was how the art style was some of the most stunning work I’d seen with retro 16-bit graphics, in large part due to the vivid color palette and impressively fluid animation. Characters’ clothing billows as they move about and environmental objects which could have been inanimate sway and billow in the wind. A garden level is full of dangling potted plants which swing back and forth with proper physics, and in an infernal region, smoke pours in through the vents and pores in the floor. In such an exploration-centric game, it makes a difference that every new area is amazingly detailed and visually exciting. You can tell the developer took care to make sure the game looked exceptionally profound, especially in the character animations. No effort is spared on Kaho’s attacks, and once you get confident enough, you will be rolling, dashing, and battering enemies in satisfying, nimble ways. As powerful as you feel, the game does not skimp on difficulty as you will die a decent amount of times, and more quickly and easily than Metroidvania titles before it. Kaho requires a fast and light touch as well as a bit of memorization as you learn your way around enemy patterns. Reverie Under the Moonlight isn’t the kind of game that reaches a punishing level of challenge, but there is an expectation to learn to play smart, much like the Souls titles. Without a doubt, Reverie‘s highlights are its mostly melee-centric bosses. Since there’s no way to block attacks, the game’s full-on duels are all about footwork and dodging. They bring to mind the NPC battles in one of my favorite games Bloodborne in that they’re sweaty-palmed affairs which look like sequenced fight routines, with no cheap tricks other than intimately learning enemy moves and applying that knowledge on the fly to stay alive and deal damage when possible. In beating these bosses, there’s a sense of not just memorizing simple patterns, but actually mastering the surprisingly deep combat, which is rewarding. Kalo can attack in a variety of ways, but she can also double-jump, and evasively roll out of danger quickly to keep her health in check between checkpoints. All of this is before you begin to discover other additional abilities which lay hidden throughout Reverie‘s several maps or in the shops of several strange vendors. These special abilities or equipment can have small or drastic effects on how Kaho behaves in combat both passively and directly. Also, she gains the ability to change into a certain animal, which I won’t spoil here because it is a neat moment and further opens up the levels to new pathways. Finally, the soundtrack of Momodora: Reverie Under the Moonlight is an instant classic and enhances what is already a beautiful and engaging experience. It makes the game feel like a story you’re being read just as much as it’s a game you’re interacting with, and it’s something I have not experienced in a great while. In an age when we have entire orchestras composing the musical memories of some revered titles, it’s easy to forget how much simpler efforts, when placed in the right hands, can grant amazing results. 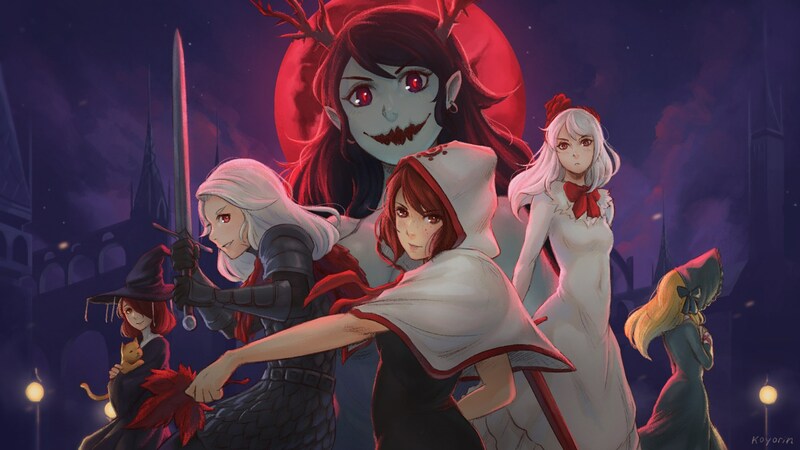 Overall, Momodora: Reverie Under the Moonlight is fantastic taking the best parts of many different gaming experiences and adding its own unique flair. Beyond just marking the checkboxes, it’s the quality of work that went into this title which will catch your eye. To think developer Bombservice could produce this kind of game within the indie scene, with this level of polish and care, it can only mean better things are in store for the future. Momodora: Reverie Under the Moonlight may be brief, but the time spent is as rich as anyone could ask for.